Chamonix in France and Garmisch Partenkirchen in Germany have both suffered accidents this week that saw lifts valued at tens of millions on Euros destroyed. Most importantly however, no one was injured in either incident. 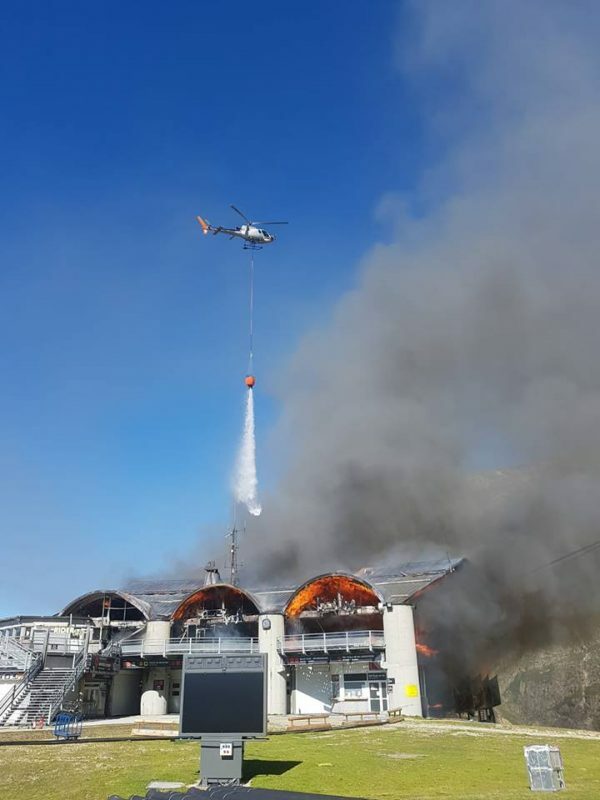 A fire at the middle station above Argentiere in the Chamonix Valley on Tuesday afternoon destroyed the building and led to five of eight cables supporting lifts below and above the building giving way. This in turn caused a number of cable car cabins to crash to the ground below. Then on Wednesday evening a test exercise at the Zugspitze Glacier above Garmisch in Germany apparently went wrong with a rescue carriage sliding down the wire and crashing in to one of the cable car cabins, writing it off. The Zugspitze lift was new last December and broke several world records for vertical ascent, distance between towers and height of several of the towers. The lifts are out of action until further notice at both areas. On the face of it the Zugspitze lift may be the easier to rectify with a new cabin, and possible a temporary ‘counter weight’ in the meantime, however the Chamonix Valley situation looks more difficult to rectify without starting afresh. The lifts concerned were in and case mainly quite elderly, approaching 50 years old. 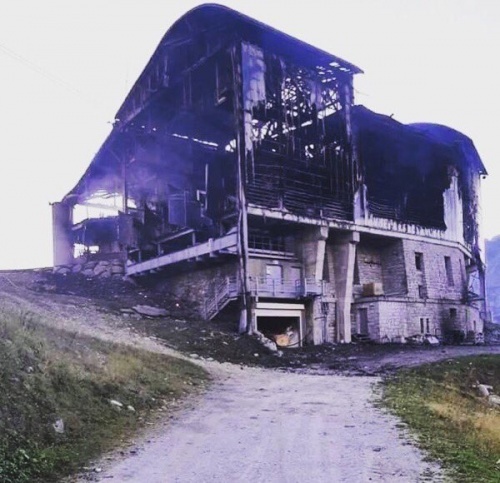 “The fire caused one cabin at the top of the Grands Montets to plunge onto the glacier below, the second cabin being immobilized on its bearer cables. As far as the lower section between Argentière and Lognan is concerned, one cabin is retained by its bearer cable and the other by the tractor cable,” a statement from the lift operator says. Chamonix is keen to stress that whilst investigations are ongoing and plans to repair or replace the damaged lifts are not yet finalised at this early stage, it will be business almost as usual for the coming ski season, with only the very highest lifts at Les Grands Montets most likely to be inaccessible by lift, and the majority of the area, which is the area used by most skiers, accessible by alternative lifts. Grands Montets is also just one of more than half-a-dozen separate ski areas around the Chamonix Valley.